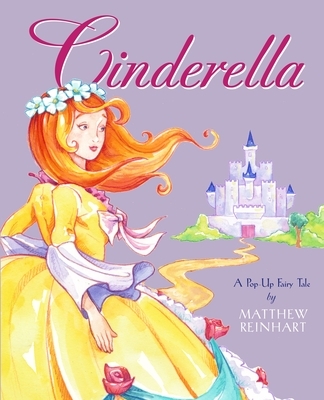 Matthew Reinhart's resplendent retelling of Cinderella comes to life with intricate pop-ups, foil, ribbons, acetate, and amazing dimensional surprises. The stunning transformation of a pumpkin into a magnificent coach, a rat into a coachman, and Cinderella into a beautiful princess is pure magic. Matthew Reinhart, a graduate of the Pratt Institute, is the highly acclamied author of Animal Popposites, The Ark, Cinderella, and The Jungle Book for Little Simon. His pop-up career began while working with Robert Sabuda on books like The Wonderful Wizard of Oz and The Movable Mother Goose, before breaking into the world of pop-ups on his own. Matthew lives in New York City.